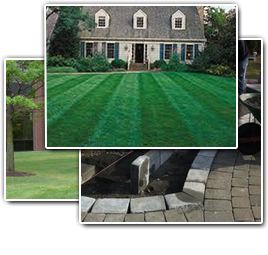 Lawn Pro is committed to providing you with quality service and attention to detail. With a highly experienced staff, we have what it takes to provide storm clean up and restore your perfect Wall lawn back to its original state. We know the unique needs of property owners and the importance of maintaining beautiful and safe landscapes for all of our clients. Our professional New Jersey lawn maintenance technicians will work directly with you to restore and create your perfect surroundings into a landscape that is beautiful. We are happy to provide friendly, reliable service, as well as the necessary lawn care experience to monitor liability issues and costs. Our professional lawn maintenance services include landscape design, lawn care, fertilization programs, lawn maintenance, storm cleanup, and snow plowing and debris removal. Our experienced landscapers provide a 100% guarantee along with clean and prompt service. We are a licensed and insured lawn and garden services and we pride ourselves on our ability to offer a wealth of experience and expertise, all at reasonable rates. If you are looking for Wall Storm Cleanup then please call 732-614-6225 or complete our online request form.